. يعمل فندق فايب جولد كوست على ضمان إقامة مريحة لضيوفه من خلال خدماته الممتازة وحسن ضيافته. يقدم الفندق فرصة للاستمتاع بشريحة واسعة من الخدمات بما فيها: خدمة الغرف على مدار الساعة, مكتب الاستقبال على مدار الساعة, مرافق مخصصة لذوي الاحتياجات الخاصة, تسجيل وصول/خروج سريع, تخزين الأمتعة . تتضمن كل غرف النزلاء وسائل الراحة والتسلية المصممة خصيصاً لضمان الراحة القصوى للضيوف. يمكنك الاستمتاع بالأجواء المريحة التي تقدمها حوض استحمام ساخن, مركز للياقة البدنية, حمام سباحة خارجي, حديقة طوال النهار. إن فندق فايب جولد كوست هو مكان مثالي للمسافرين الذين يتطلعون إلى الراحة والاستجمام في جولد كوست. يُرجى ملاحظة أن أسرّة الأطفال الرضَّع متوفرة مقابل 5 AUD في الليلة. Nice view living on high floor. Clean and big room 10/10 will recommend. Dear Zhen, Our team will be so happy to hear you enjoyed your stay. 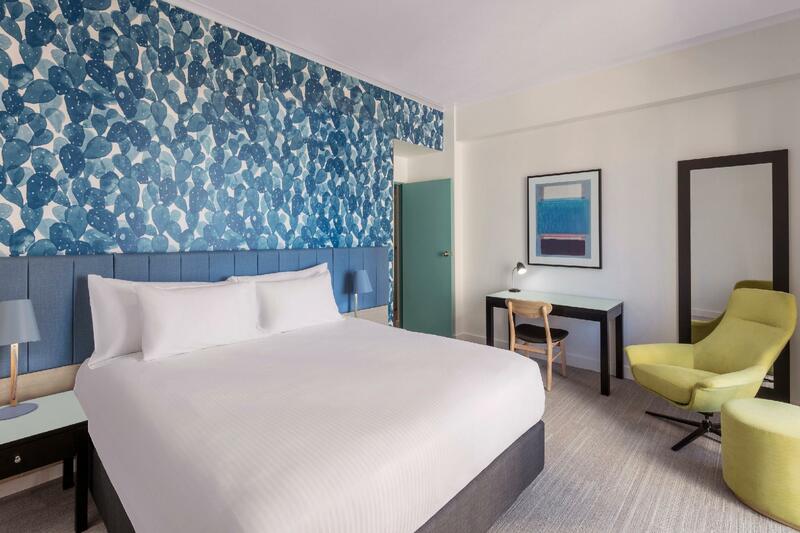 Thank you for taking the time to write a review on your stay at Vibe Hotel gold Coast. We look forward to having you stay again soon. Your Sincerely, Monique Bulte Duty Manager. Shower didn't work, tap dripped all night, whistling wind through the hallways, unfriendly staff at main reception. Bed was comfortable. Riverside hotel far enough away from the nite clubs to guarantee an undisturbed sleep, yet still less than a 10 minute walk to the beach (or 5 min to Cavill Avenue). The facilities are first class. The Gym, and pool area (complete with bar and garden) are clean and modern. 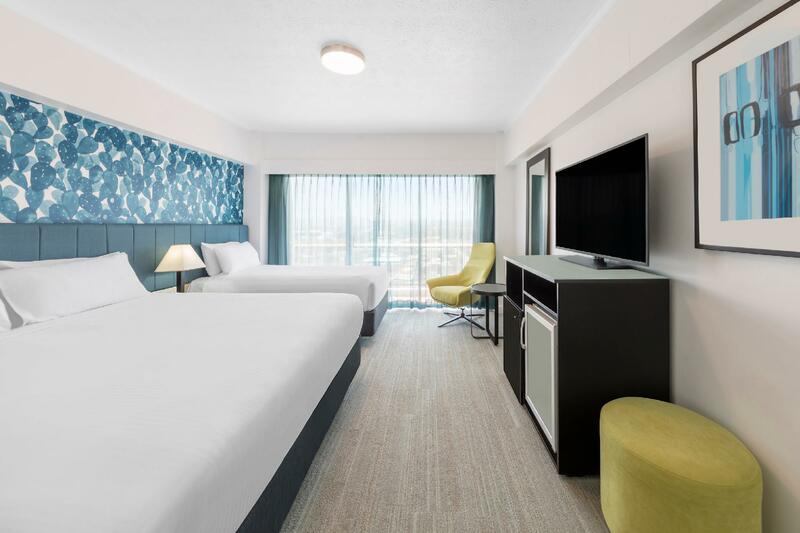 The rooms feature modern furnishings and are extremely spacious. The balcony is also generous in size. Those with a fear of heights should feel comfortable even on the higher floors. Fantastic location with an easy walk to everything, lovely facilities and poolside bar, nice pool. The room we had was very small and bathroom could have been cleaner. There was some mould in the shower and basin had some built up grime around the top of it. Otherwise the room was clean. Very comfy bed. Parking seemed expensive ($30 per day). 4 star rated hotel that offers facilities and comfort levels to rival a 5 star hotel. My room featured a large balcony, lounge with large tv and a king size bed. I also had a limited Foxtel service (premiere movies would be a welcome addition). The hotel is in a Great location, on the Nerang River, with uninterrupted views of the hinterland. 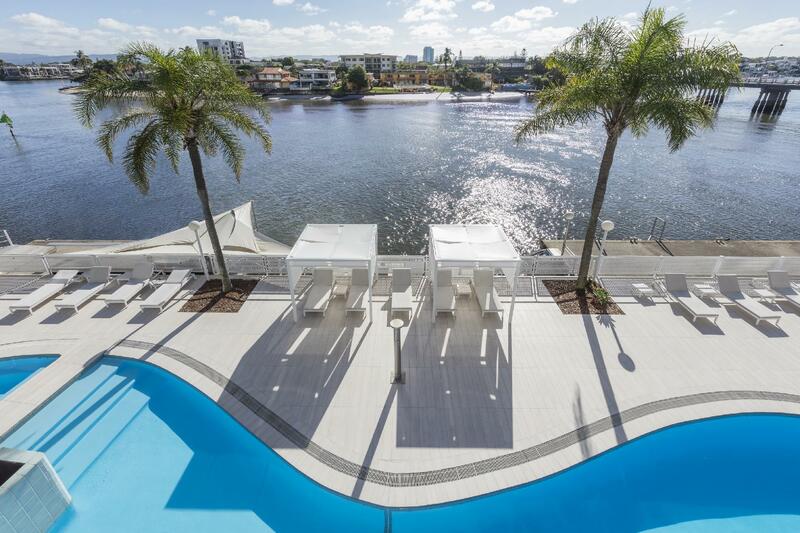 There is an amazing pool, lounge and bar area that is situated riverside and the beach is only three blocks away. The hotel is actually on the Gold Coast Highway ( traffic noise was non existent) which makes for a quick getaway from the city. 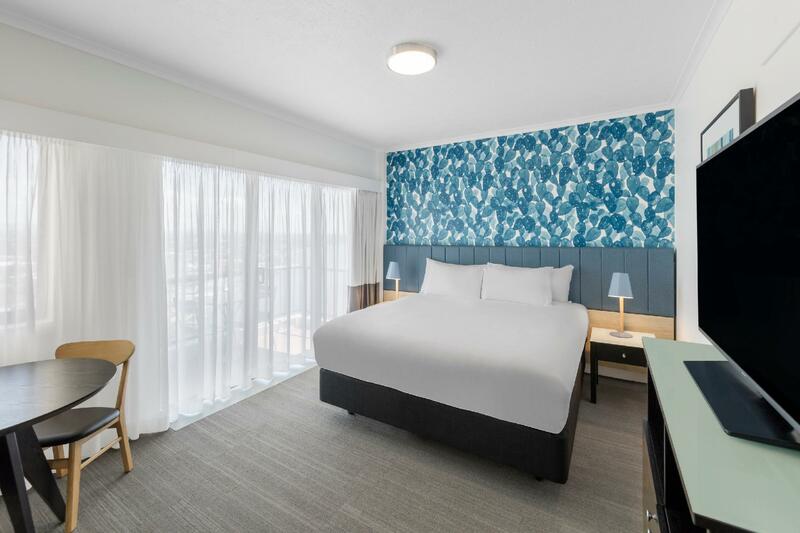 Importantly, the hotel is far enough away from the noise of the clubs to enjoy a good night sleep, yet close enough to walk to the clubs and restaurants (restaurant precinct begins on the opposite side of the highway). There was no warning that we had to pay for parking it wasn't mentioned. We only learnt about it as there were several signs around the place saying Parking was $30. This parking spot as far as I knew would have been owned by the Hotel so not sure why they would do this. The Hotel is in a great spot close to everything and was very clean. Lifts are super fast, couldn't fault the facilities. The fact that parking was not free left a bad taste I'm afraid. I overheard several people query this also. I really like this hotel,clean, very good location,staff very good,The $30 car parking fee in the hotels own car park is a blatant ripoff!Looks like they are trying to give you a reason not to come back! 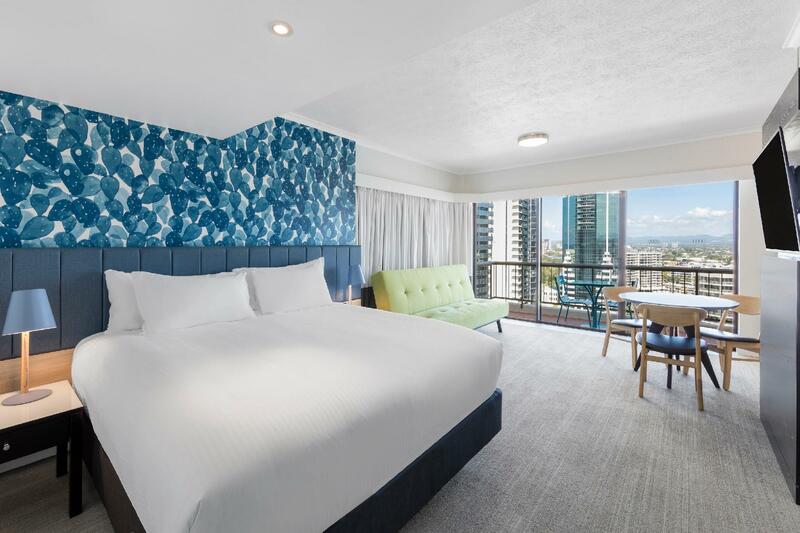 To me, it is one of the best hotels at Gold Coast because of its location (within 5mins slow walk to cavill avenue light rail station). Currently the hotel is still under mild renovation on its lobby hall and area around swimming pool. But the pool is still operating. Love its small Jacuzzi with heated water. 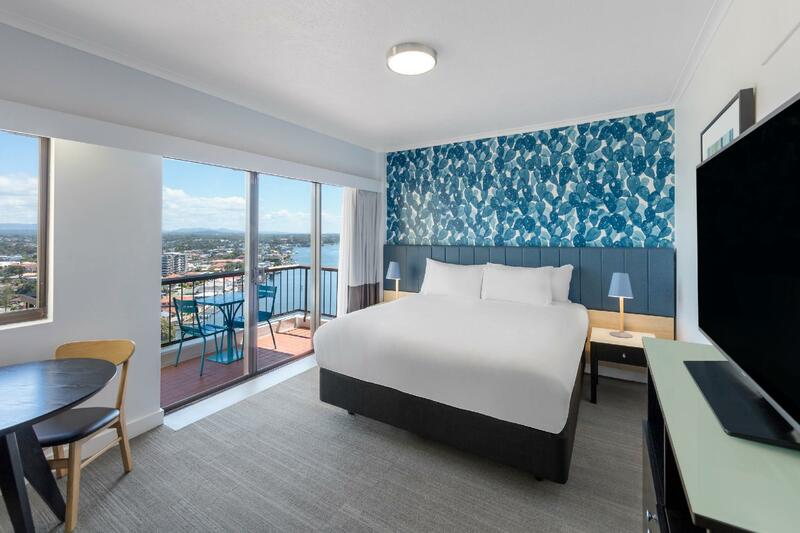 Got my room facing the nerang river and the bridge connecting to the small island. Great sunset can be seen on the balcony! Breakfast is ok, not many variety! No noodles and half boil eggs. Staff were pretty nice. Checked in requires 200AUD as a refundable deposit. The housekeeping staff were pretty nice. But this hotel didn't provide any toothbrush and toothpaste for the customers. In short, this is a nice hotel with walking distance to the beach. Strongly recommended! First time staying here--it was under renovation--checked into room on fifth floor--the room was spacious, clean with a super huge veranda. The check-in was problematic as my name in the booking voucher differed slightly. we enjoyed staying at this hotel as the location was excellent whereby hypermarket --Woolworths & Coles are just across the road. We did not encountered any problem in the room and a word of Thank You to Ms. Sunita-the receptionist who served and offered us very friendly services. We definately return to stay again. Pros were great clean room with an amazing view. Wonderful helpful staff. Buffet breakfast was perfect. Later check out at 11am. The only faults were you have to factor in parking at $30 a night which makes it not as cheap as you think. And our Ute with roof racks didn’t fit in the car park as it’s pretty low. Great place to stay, nice pool!